I was looking forward to getting back to the club tonight after my easy week last week. The session was a ladder type, ie 1,2,3,4,5,5,4,3,2,1 (all mins) with roughly half recoveries. Once again I set out with the goal of going for at least 5miles for the 30min of hard running. It was a very cold night and initially I regretted not wearing my gloves but once we really got going I was fine. I spent the evening chasing Donald, Scott and David and ended up at the front for some of them. On the second 4min run I ran right behind Donald the whole way. Now I know he is struggling a bit at the moment with a virus and sore calf (he sadly had to pull out of the National Cross Country on Saturday) but it always does me good to be able to stay with with him. While he said he hated every step of tonight’s session I loved it!! 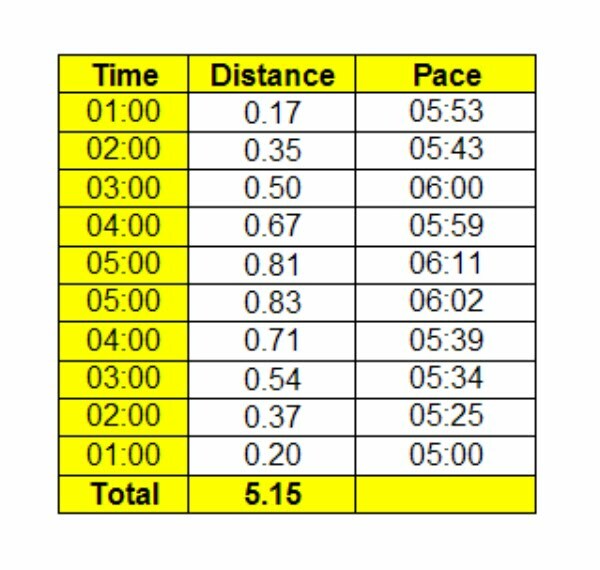 So the total distance was over 5miles. Another encouraging effort.